Eating dinner with your members of your church is a relaxed way to enjoy fellowship with your congregation. Planning a church fellowship dinner can seem daunting, but pulling it off is easier than one may think. 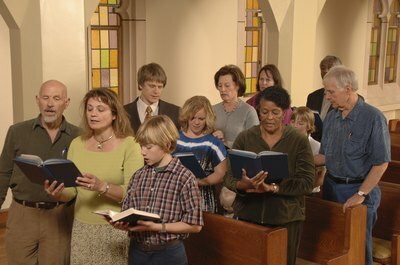 It is ideal if a church group, such as Crafty Ladies or the Men’s Choir, hosts the dinner. This way, there are not too many cooks in the kitchen, and members have an opportunity to get involved. When planning what to eat at a church fellowship dinner, think of simple dishes that are well-liked by many, easy to transport and reasonably-priced to make in bulk. Assigning dishes to different people helps to keep the cost down and spread out the work. 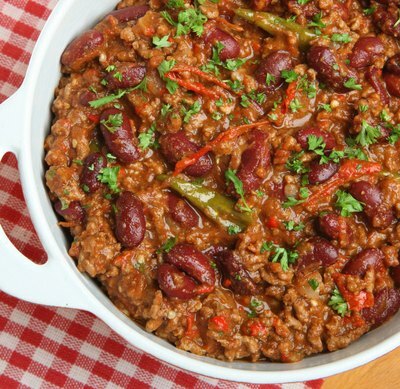 Consider dishes like chili, tacos and sloppy joes. All of these can be made ahead of time, transported in containers, heated and assembled or served in a large crock pot at the dinner. 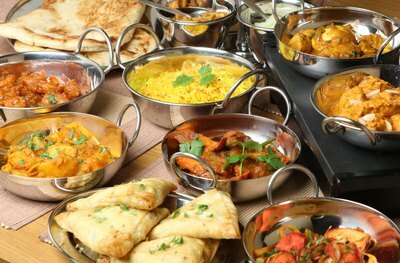 When preparing a dinner for many people, it is wise to be conscious of picky eaters. Some people are vegetarians, some have food allergies and some just don’t like certain foods. One way to please people is to label the dishes with their names and ingredients. 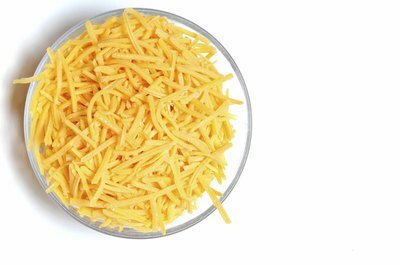 Keep as much as you can separate; for example, cheese and onions should be in small bowls next to the crock pot of chili. By keeping “add-ins” separate from the main dish, guests can add as much or as little as they want. Church fellowship dinners are centered on good food and good fellowship. 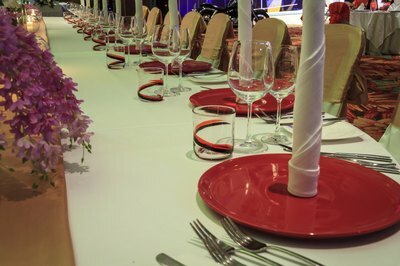 Using long tables that seat 10-15 people will allow guests an opportunity to convserse with others. Decorations are not mandatory, but are an optional way to set the mood. Using simple paper or plastic table cloths adds color to the dinner without costing a lot. Disposable plates and cutlery can be found in a variety of colors. If your church engages in fellowship dinners quite often, it might be wise to look into investing in a set of silverware and dishes for the church. Once all the planning and preparation work is done, it is time to enjoy the dinner! If the dinner is scheduled to start at a specific time, saying grace is a nice way to begin. Clean-up should be a breeze since the plates and cutlery are disposable; people can take their own pots and dishes home to clean. By following the mentioned tips, your Church Fellowship Dinner is sure to be a success.